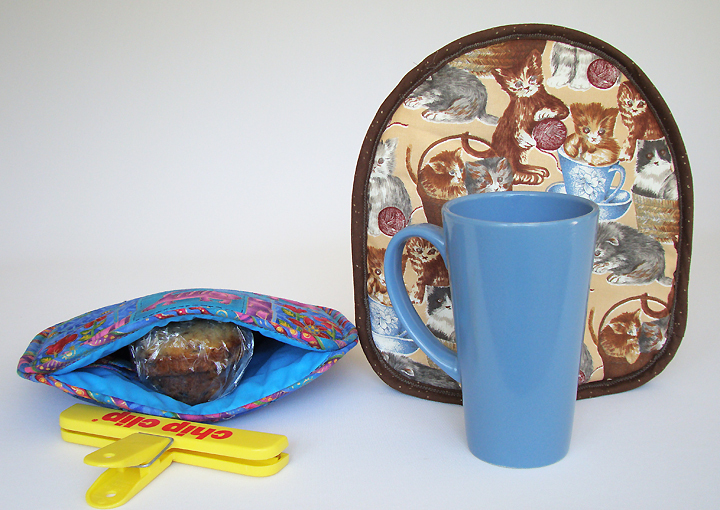 Here's our best-selling French press cozy with a companion cup cap. 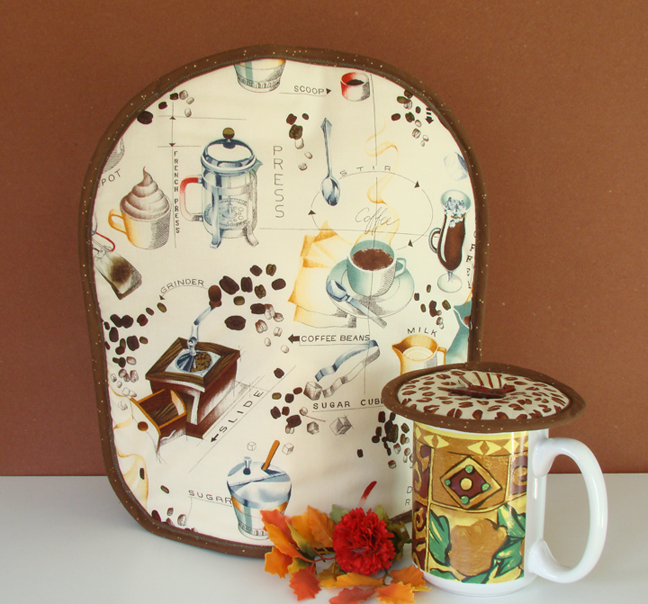 Nothing better for gifts or everyday use because coffee drinkers like their coffee hot. Small Koffee Kozees aren’t just for French presses. Need breakfast on the run? Heat 1-2 muffins, put in a small Kozee, clip, and carry with you. Do you have an extra-large, 16- to 24-ounce mug? Put a small Kozee over it for a hot brew for at least 30 minutes. Hot ideas for smart people!